What did you find confusing? 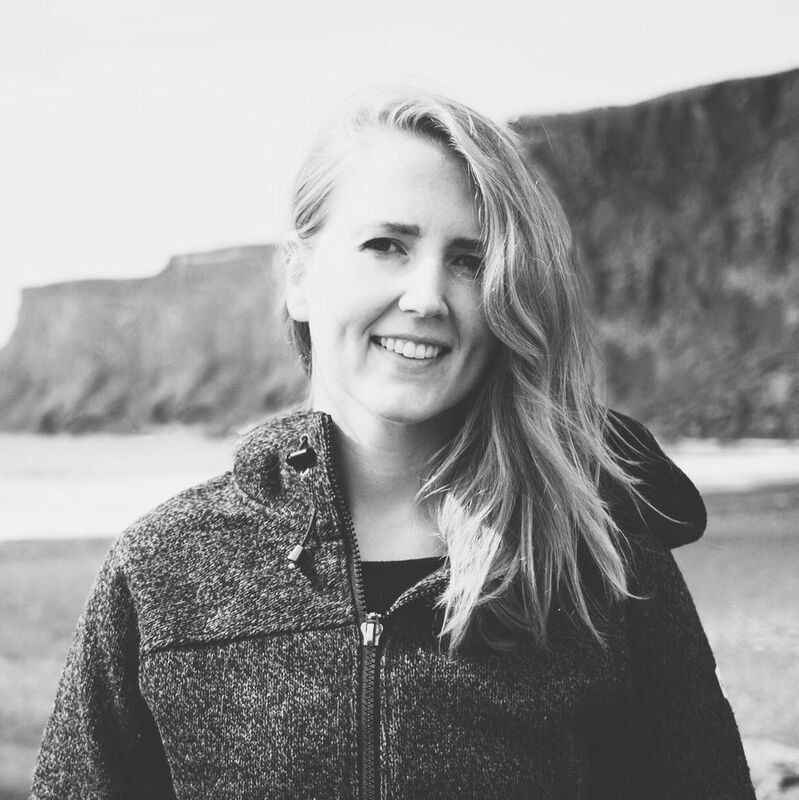 What’s one thing the speaker(s) can improve their talk for next time? We then read through the responses, summarized them into a personal repository for each speaker, and then sent the feedback to each speaker after the conference. Group the data based on the talk title. 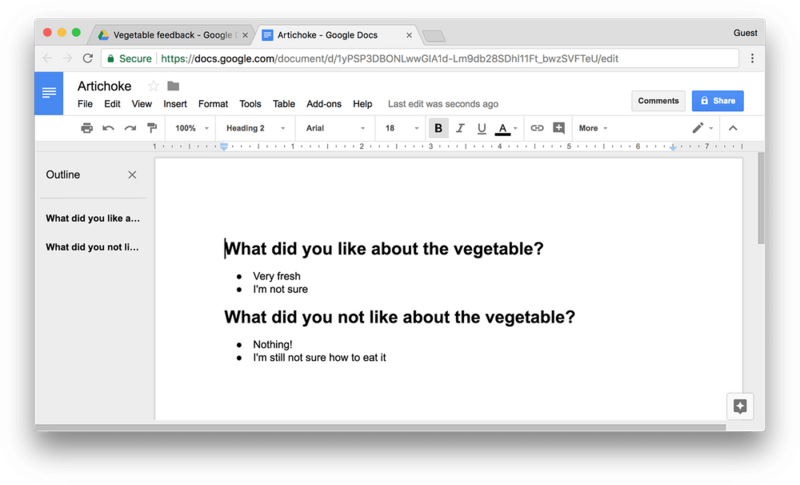 Write the data to its own Google Doc file. Once you create the form, click the “Responses” tab and then the Google Sheets icon to create a Google spreadsheet to store your data. 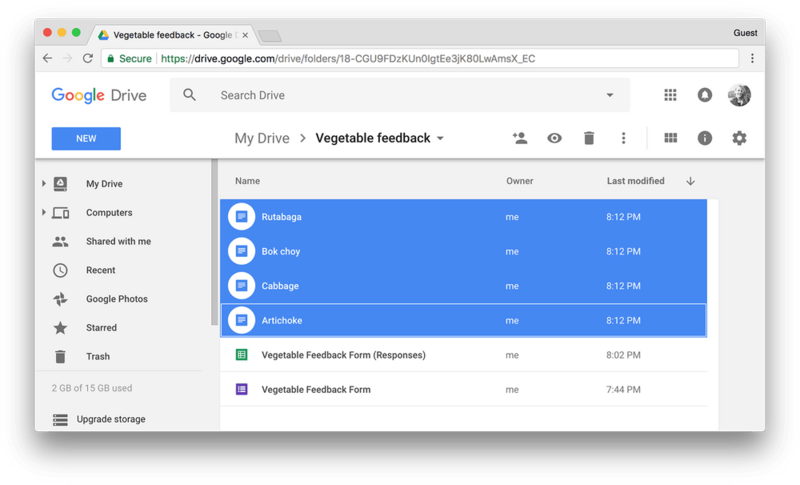 Create a folder in Google Drive that will ultimately be the home for the docs. 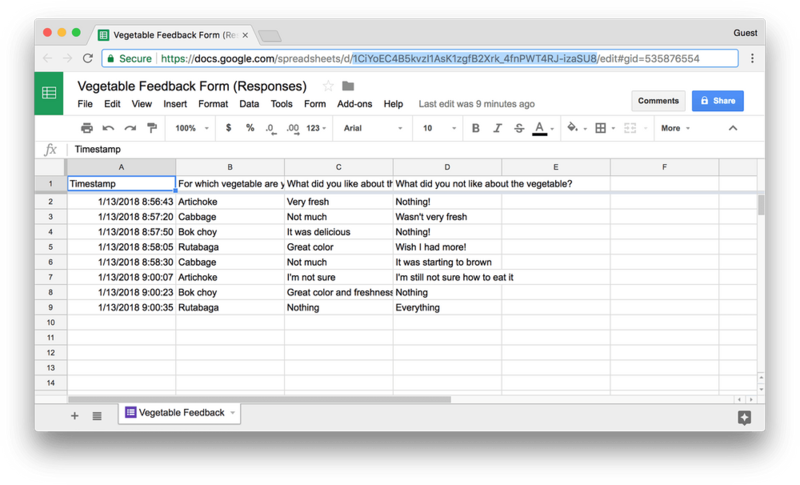 You can also store your form and form response spreadsheet here. 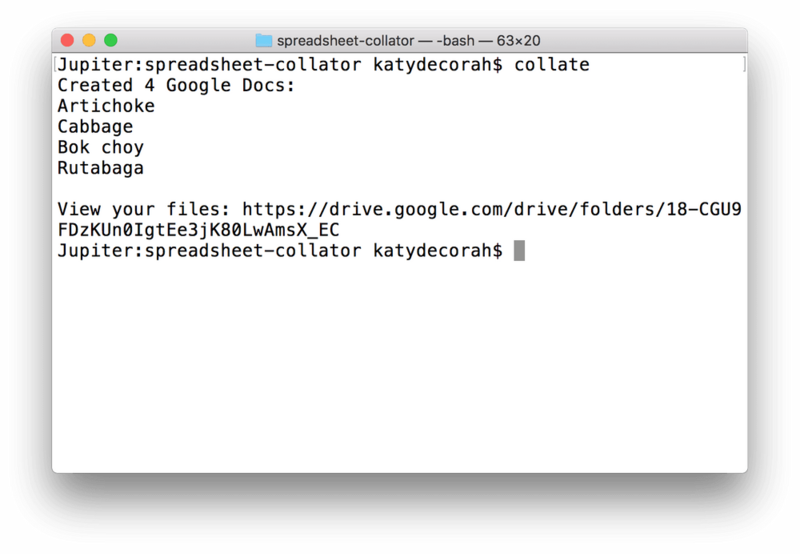 After you’ve cloned the spreadsheet-collator repository, open up config.js, and update the config with the values you collected above. 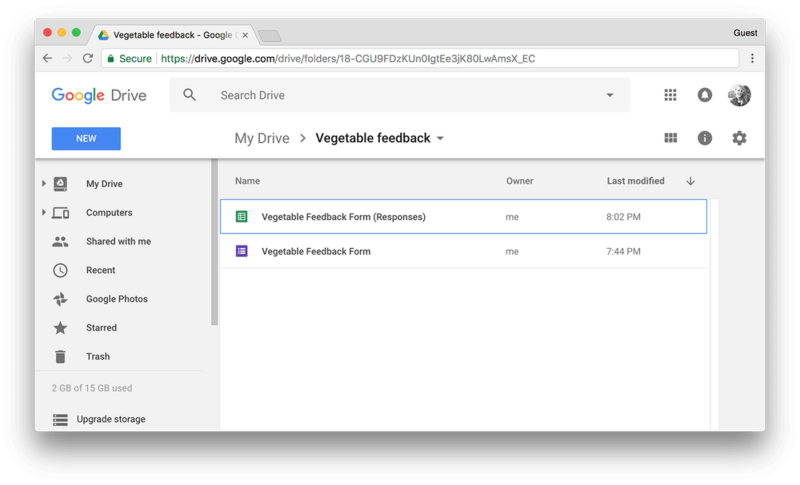 Following the steps in the README, you’ll need to first authenticate your account so that script can access your spreadsheet and create files. Then you can run the collator. 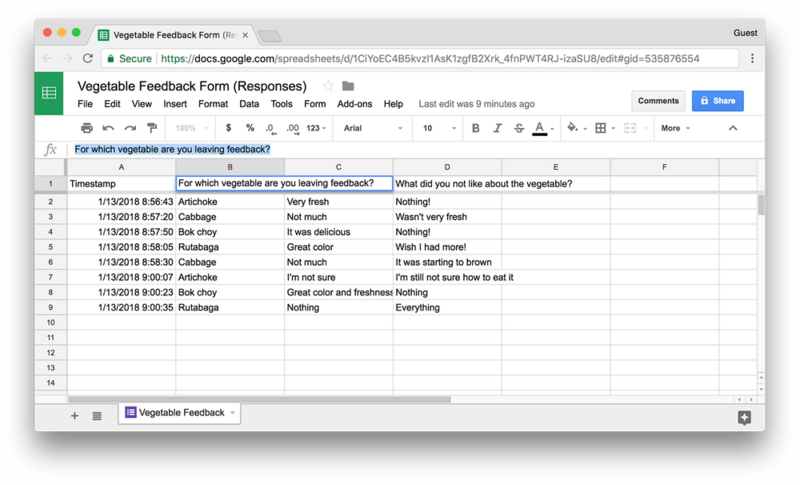 This script is great for sorting comments and with a little editing it can process other types of data. Try editing this section to change the output the your docs. For example, you can add text or calculate and then display the average for a quantitative question.